I’m not sure this is Newark history per se. Having said that, one cannot deny the human interest aspect. 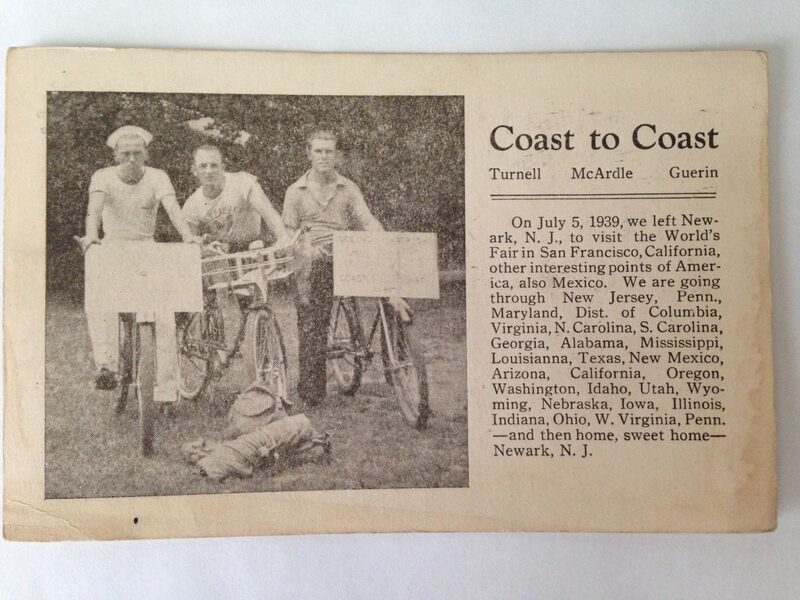 On July 5, 1939 three young men, Turnell, McArdle and Guerin ( no first names provided) headed west , from Newark, on their bicycles with the intention of seeing the World’s Fair in San Francisco. They created a post card to commemorate the start of this ambitious undertaking. Reading the description of their journey as described on the post card one is left to wonder if they accomplished what they set out to do. Unfortunately, I do not know the final outcome.